Getting pierced in Pennsylvania? You’ve got your pick of some of the best piercing shops you’ll find anywhere. Getting some new bling isn’t a decision to take lightly, and you’ll be glad to have a professional piercer walk you through your options and ensure your health and healing are top priority. 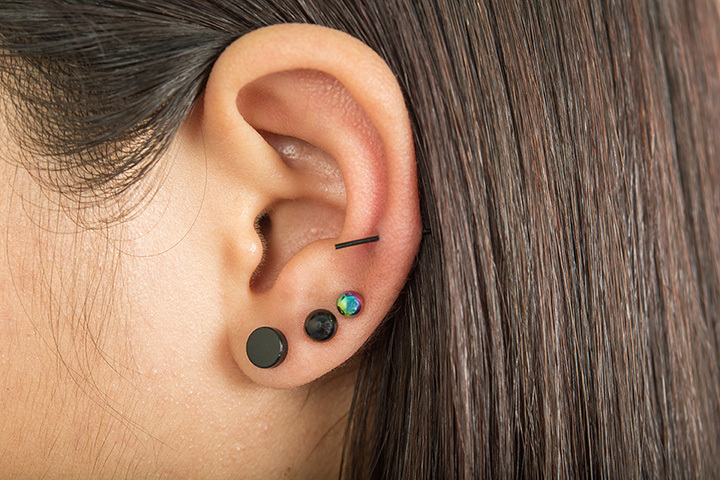 Get your piercing at these 10 awesome places in Pennsylvania! If you're looking for safe, quality work, you've come to the right place. They put cleanliness and health above all else, giving you confidence in the entire process. They're also reasonably priced, giving you great artwork that fits within your budget. With five locations in central Pennsylvania, you've got more than enough opportunity to get the new bling you want. They specialize in body piercing and tattoos, along with body modifications and permanent makeup. It’s the best place in the state to go for a total transformation! Equal parts tattoo shop and body piercing place, you won't find a more professional team than here. They take pride in making each of their customers feel comfortable with the entire process. Fans love them because they focus more on quality than speed, making sure you get your piercings exactly where you want them for the best results. If you want a fully-customized piercing experience, these guys have you covered. They're all about style and self-expression, and work with you to get the body art you want. They have several award-winning artists on their team, so you can feel good about working with true professionals. Walk right in and get pierced at this no-appointment-necessary shop. They have one of the largest varieties of piercings you'll find in the state, and at affordable prices. And don't forget to ask about their piercing specials that can help you save even more. If you're getting pierced for the first time, you'll be glad to have the skills of this team leading the way. Their professional piercers walk you through the whole process and make sure you're comfortable before committing to your piercing. They also make sure you know how to take care of your piercing once you leave the shop so you can be happy with your choices. If you're looking for one of the best deals in piercing, you've come to the right place. They usually have piercing specials that can help you stretch your budget. But more importantly, they are true professionals that can put your nerves at ease so you can enjoy the experience. This full-service piercing shop means you'll never have to go anywhere else. For starters you don't have to make an appointment and you'll never have to wait. In addition, they also have a full line of body jewelry and after care products so you can take care of business in a single stop. If you're nervous about getting pierced, come here to have a quick consultation before you make your decision. Their expert piercer is experienced and professional and takes time to help you explore your options. They come highly recommended by their fans, who tend to use them again and again. It's hard to decide which is better: the piercing itself or the before and after service they give their customers. They help you get in for an appointment around your schedule and walk you through the procedure, so you know exactly what to expect. They also take time to discuss after care and make you feel like they appreciate your business.